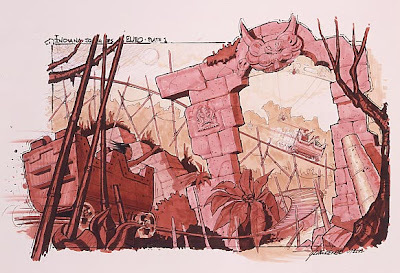 Here is the awaited part two of this Disneyland Paris that never was article. 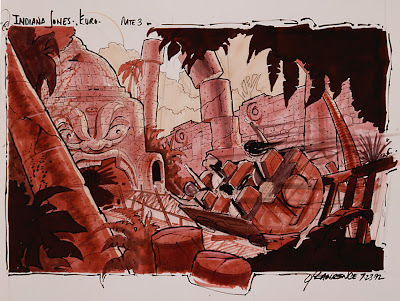 Adventureland’s Indiana Jones temple du péril was built in 1994 , shortly after the opening , and , although it’s a very popular ride with perfect theming , the following renderings, as well as the one above, will show you that it could have been even better. This is probably a good example of management’s cut for budget reasons - or may be , a question of construction timing, as ,in 1994 , the park needed to add new attractions urgently. 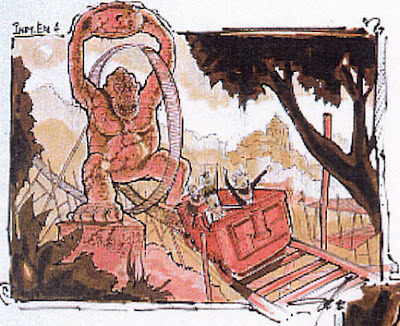 Anyway, the two first pictures and the one above will show you some never done additional decors, with the train entering a giant asian statue head. 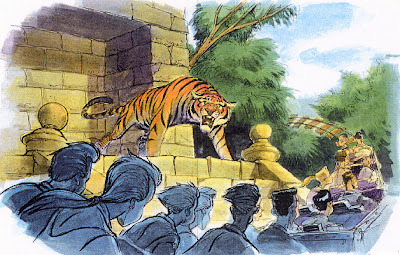 ...As well as those baby tigers audio-animatronics in the queue outside decor. ( now “colonel Hathi “ ) . 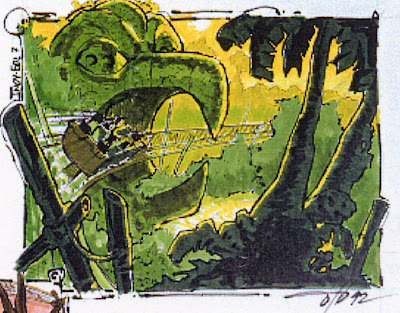 In this John Horny rendering , if you look closely, you’ll see Jacques-yves Cousteau and Ernest Hemingway in the front , and in the background, but hard to see, Indiana Jones and Crocodile Dundee, all famous explorers indeed!. 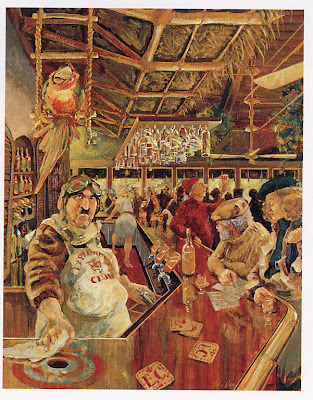 Note the parrott over the bar tender, actually there is really audio-animatronic parrots in the restaurant, and there is a good reason for that, as the place is a reminiscence of the old Tiki room restaurant concept , as it was supposed to be in the 50’s , before it was decided that the Tiki room will be a show only. 35 years later the John Hench concept partly live, here, at DLP. Let’s have a look at Fantasyland, beginning by the castle. 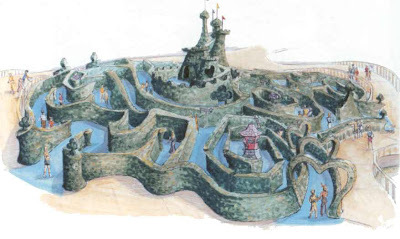 On this concept-art by Frank Armitage , here is the castle how it is right now. 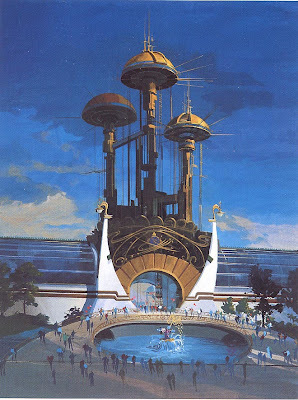 And here is probably the most revolutionary castle concept with this futuristic castle imagined by imagineer Tim Delaney...may be too futuristic for some, but what a great idea. 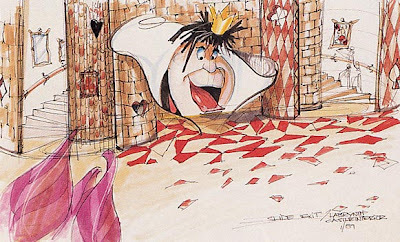 In Fantasyland, this early rendering of Alice’s curious labyrinth shows a different one than the actual one , and , inside the castle of the king of heart, children coming down with the slide from the tower ( now closed, unfortunately ) would have come out through the mouth of the queen of heart . 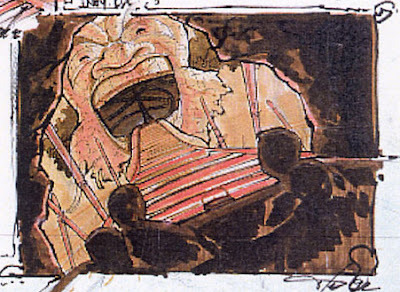 Of course, everyone have heard of these two never done attraction concepts - the little mermaid dark ride and the beauty and the beast show - they were even announced during the tv special for the opening of the park! 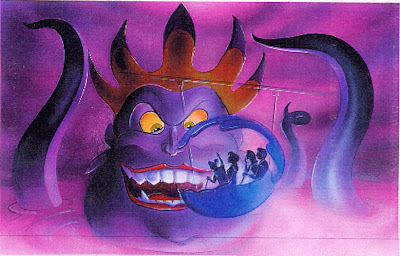 The one that we all miss is the Little mermaid ride ,as guests would have board inside shell designed vehicle , hanging from the top, like in Peter Pan’s ride. Actually, you can find a special feature in the Little mermaid collector’s edition dvd , describing the whole ride concept for those of you who want to know more about it. The attraction was supposed to be built in front of the pizzeria della notte , near it’s a small world. 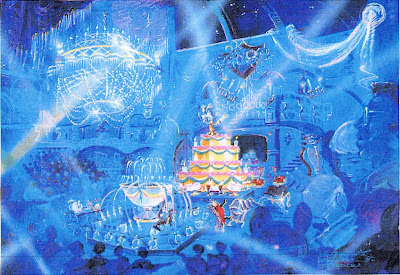 The Beauty and the beast musical would have been built behind Cinderella restaurant , and would have involved Audio animatronics and special effects, but i’m afraid that we will never see this one . That’s the sad theme park reality: some concept will come to life, other will stay forever in our dreams. Well, it looks like real life, doesn’t it? 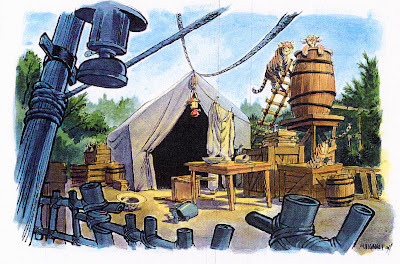 Don’t miss the part three where i will take you to the Discoveryland that never was, as well as stunning concept for the hotels of the park, and you wil not believe your eyes. 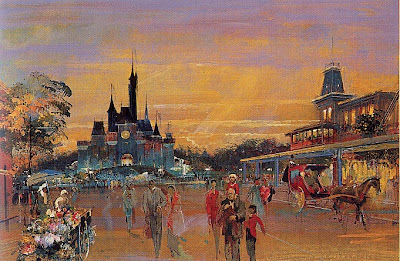 "The Disneyland that never was"? Wonderful posts and concept art. I will be sure to check back often. i went when the park had opened... the beauty and the beast show was shown in discoveryland in the hall with the big blimp coming out of it.. it was a really good show!